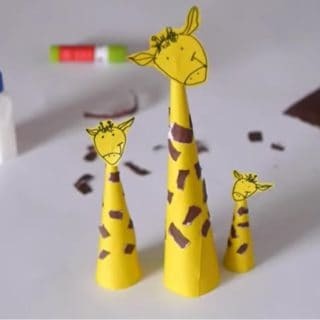 When it comes to crafting techniques that are particularly unique and creative, glue gun crafts are some of our favourite things! 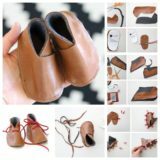 Now, it might not sound very interesting or ground breaking to make something with a glue gun since they can also be used to make some pretty simple or basic things, but if you’re willing to just think outside the box a little, you won’t believe the different things you can create with your own two hands! For example, have you ever thought of actually molding a whole artistic looking structure out of just the glue itself? We’ve tried it and we can assure you that it was both challenging and exciting. 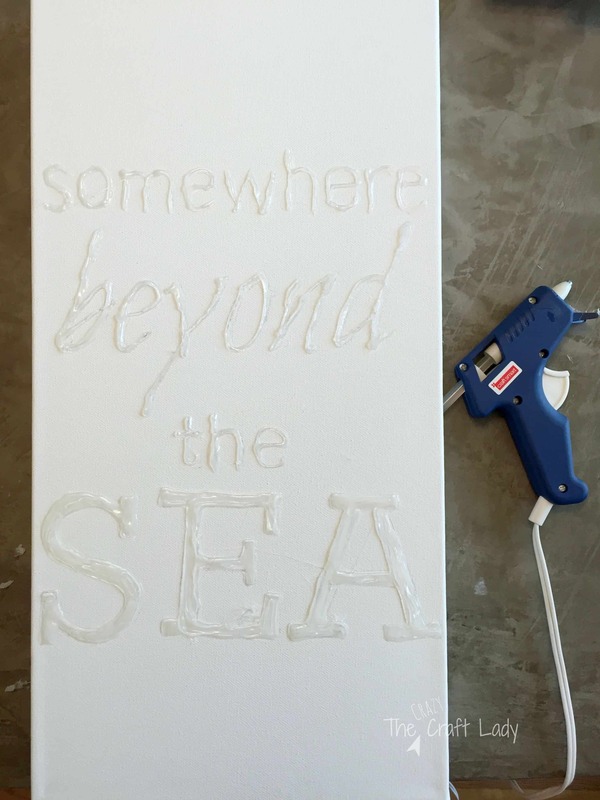 Just in case you’re as intrigued by the idea of hot glue and glue gun crafts as we were, check out these 15 DIY projects that will make you see your glue gun in a whole new light! 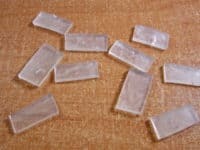 Have you always been kind of enamoured with the concept of actually building something out of hot glue itself, rather than just sticking things together with it? 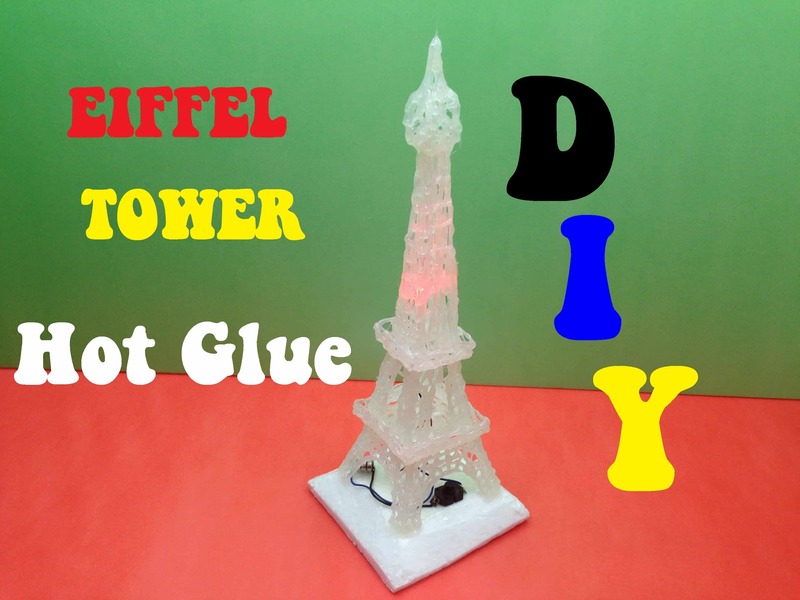 Then we absolutely think you should take a look at this mind bogglingly cool hot glue Eiffel Tower! 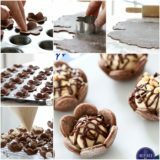 Believe it or not, it’s actually a lot easier to make than it looks. Check out how Creative Useful made the tower itself step by step and even made it so it lights up! Have canvas crafts always been one of your favourite things to make because you live in a small space so rather than moving your furniture around to give things a refreshing look and feeling, you like swapping your wall art out? 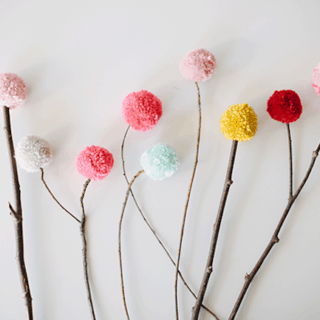 Then here’s a hot glue craft that you’ll absolutely love! 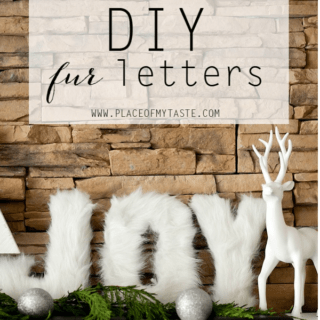 The Crazy Craft Lady shows you how to make textured letters from hot glue across your canvas that you can get all kinds of effects with using paint or glitter. Have you always loved making jewelry but you haven’t seen any beads in stores that have really struck your fancy lately, so you’ve been looking into ways to make your own? In that case, here’s a tutorial that we think you’ll use over and over again! Ksripriya Kanigolla shows you how to make flat, sparkly beads from hot glue and glitter, as well as how to embellish them with rhinestones and link them together with jewelry clasps to make a bracelet. 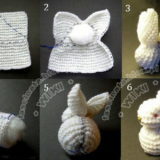 You could create all kinds of unique, beautiful pieces using these basic techniques! Have you recently gotten a new phone to replace the same model you already broke and you’re looking to make a DIY case to at least pose a little bit of a barrier between the phone and the ground next time you drop it, even though your priority is still clearly decorative? 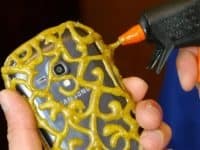 Then hot glue and your old phone is the perfect combination of tools to create an awesome curling case that you can bend off and on to put it on your new phone. 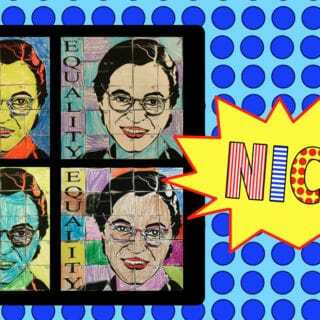 Dave Hax guides you step by step through the process of making your own. 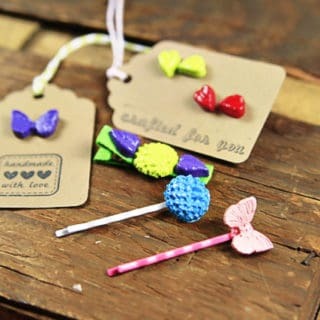 We love the way they used brightly coloured, glittery hot glue sticks for extra flare. 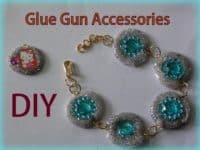 Perhaps you actually craft with your glue gun so much that you’ve been looking for a way to streamline the process and make it easier to use the gun than trying to precariously balance it on its own weak little kick stand each time you put it down? 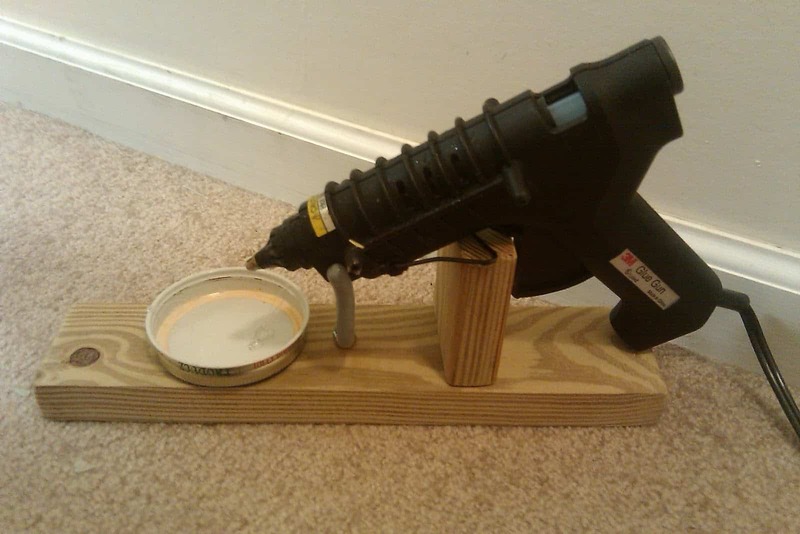 Well, we’re not sure a glue gun stand is something you can buy in stores, so we’d suggest making one of your own! 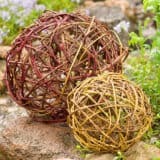 Lisa Cutler walks you step by step through the process of making a stand out of small wood scraps and a jam jar lid. 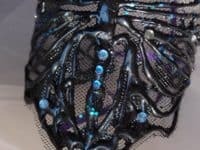 Were you intrigued by the idea of making hot glue jewelry more than anything on the list so far, but you were looking for an idea that’s a little more fantasy inspired and a little less rhinestone encrusted? 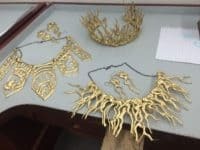 In that case, we think you’ll really appreciate these uniquely shaped bib necklaces and bold earrings from Guide Central! We love the way they painted them with gold paint for a glamorous, metallic finish but you could paint yours any colour you please. 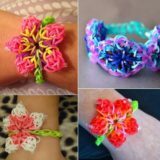 Are your kids old enough to safely use a small hot glue gun with your supervision but you’d still prefer to keep things quite simple for them so they don’t get too overwhelmed by intricate crafting details? 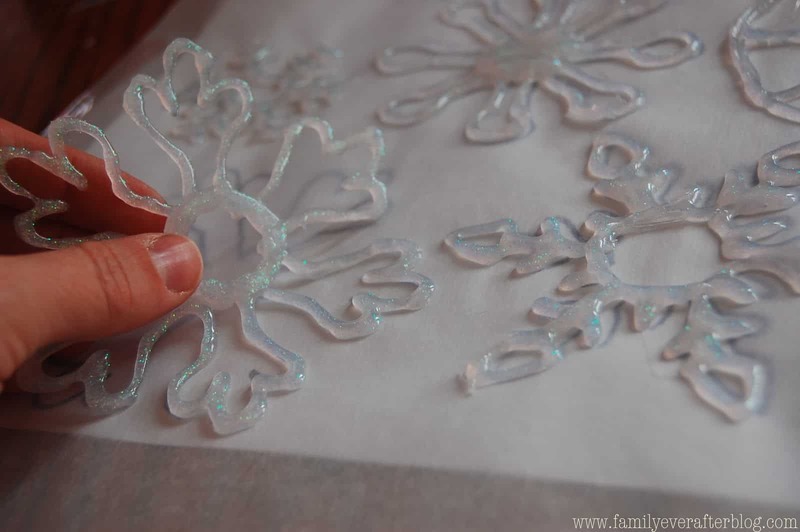 We certainly know our kids aren’t quite ready to be designing their own hot glue jewelry, but they could absolutely turn out some uniquely shaped glue snowflakes just like these ones! We love the way Family Ever After made theirs extra wintery looing by using glitter glue sticks. 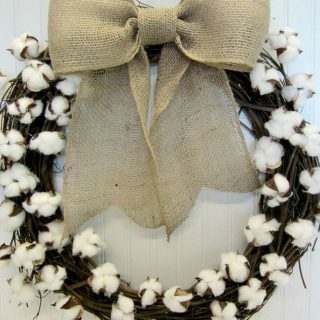 Have you always loved DIY décor projects that let you upcycle something in the crafting process, rather than just buying all new tools and materials every time you’re feeling creative? 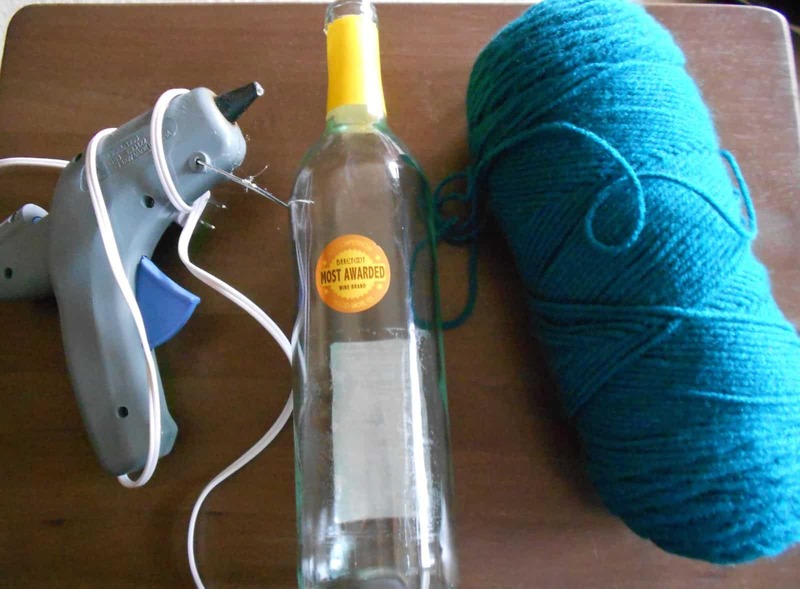 In that case, we’d be willing to bet that you’re a pretty big proponent of wine bottle crafts! 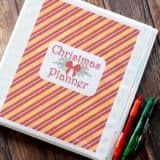 Here’s an idea that will combine your love for those with your love for hot glue projects, plus some yarn for added fun. 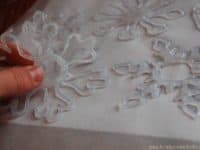 Check out how My Girlish Whims used the glue and yarn to create all kinds of designs across the glass and then painted it all. Have you been thinking a lot lately about adding an accent wall to one of the rooms you’re making over in your house but, if you’re going to go to that effort, you’d prefer to make it as DIY a process as possible? 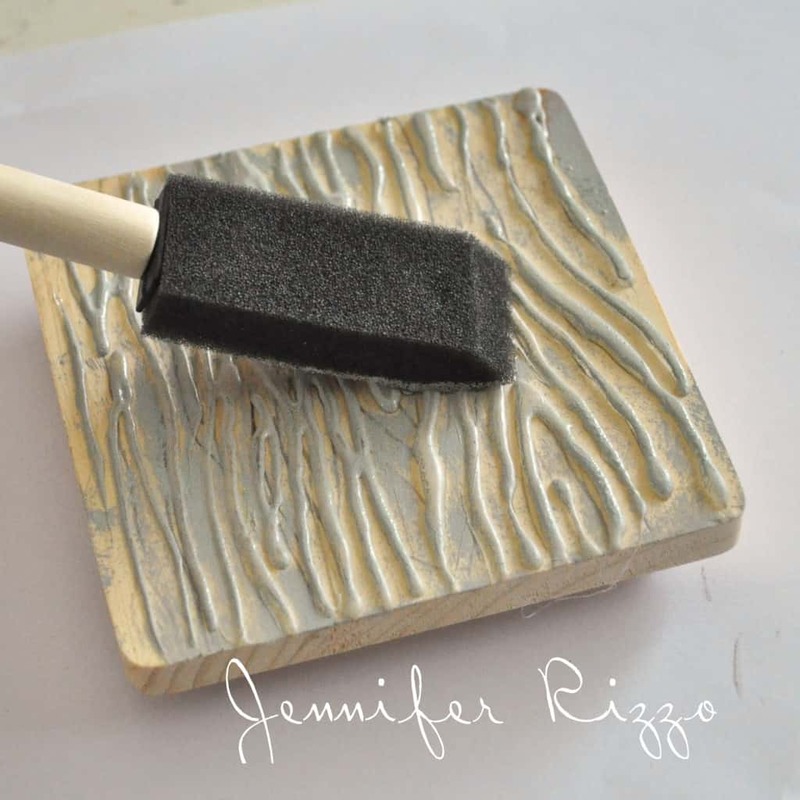 Well, if wood grain is a pattern you enjoy, you’re in for a crafty treat with this wall paint stamp by One Crazy House! 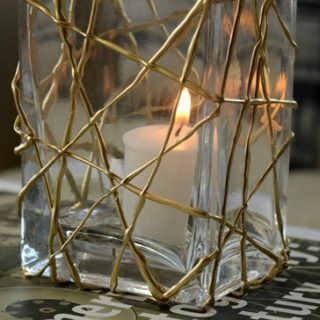 They show you how to make it happen with a small piece of wood and your trusty hot glue gun. 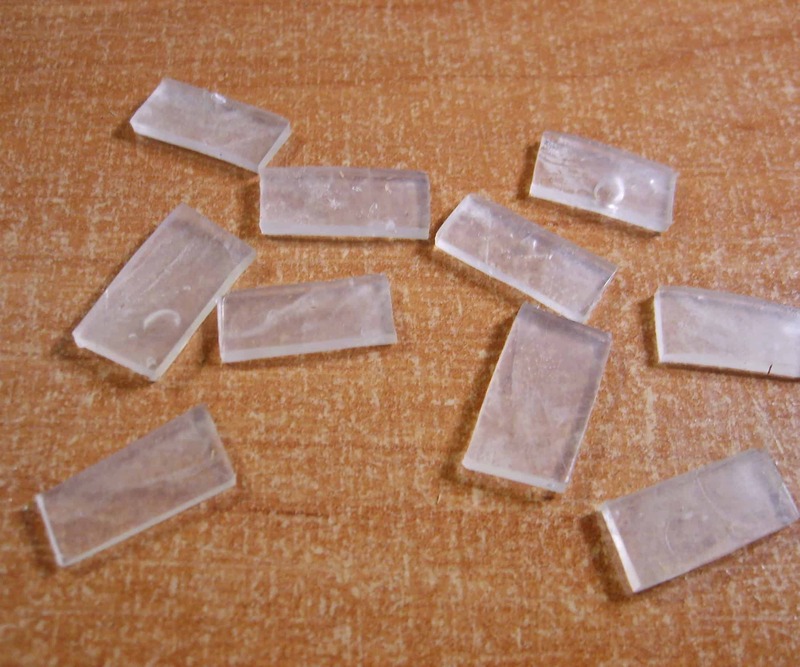 We’ve talked quite a lot about hot glue DIY projects that are decorative or purely crafty, but did you know you can actually make several very practical things with hot glue as well? One of the best things we ever did for our home was make these DIY versions of store bought furniture pads to stop our tables from scratching our wood floors and our armchairs from sliding away when we sit down. 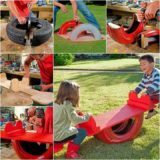 Instructables guides you through the process of making and cutting a whole bunch of them in a way that gives you many more for way less money! 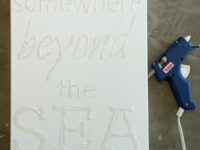 Were you very intrigued by the idea of making a large surface stamp, but neither the idea of stamping a wall nor the wood grain patter we showed you previously really grabbed your attention? 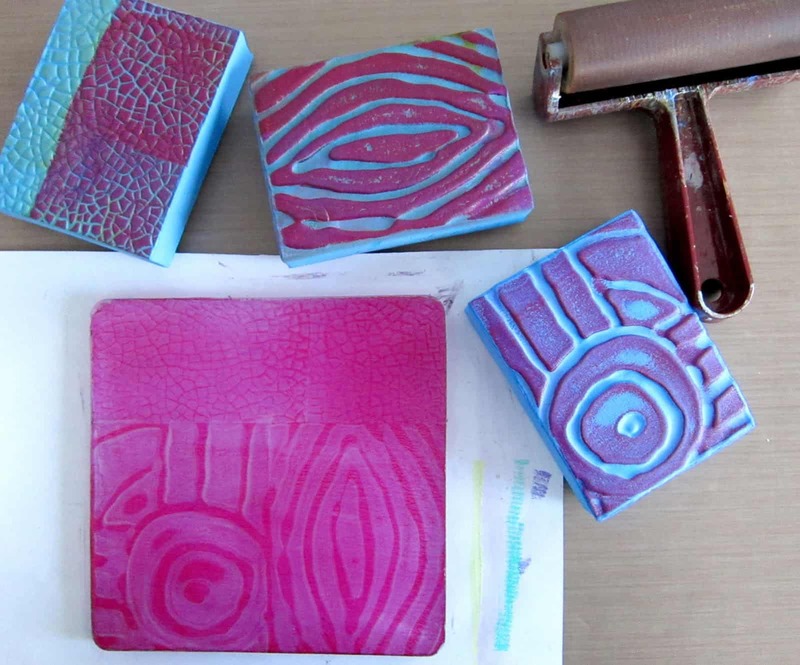 In that case, we have an alternative that will still get you stamping but in a totally different way! 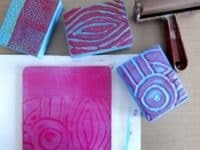 Check out how The Perfect DIY used hot glue and foam to create interesting texture shapes that are perfect for fabric paint stamping across plain fabric. This is one of our favourite ways to customize material projects. Are you still thinking about how neat the idea of making your own hot glue jewelry is but your personal style is actually a little darker and more old fashioned looking or possibly goth inspired than the designs we’ve shown you so far on our list? 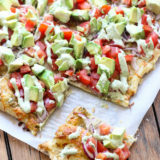 Then here’s an idea that we think might be a little more up your alley! 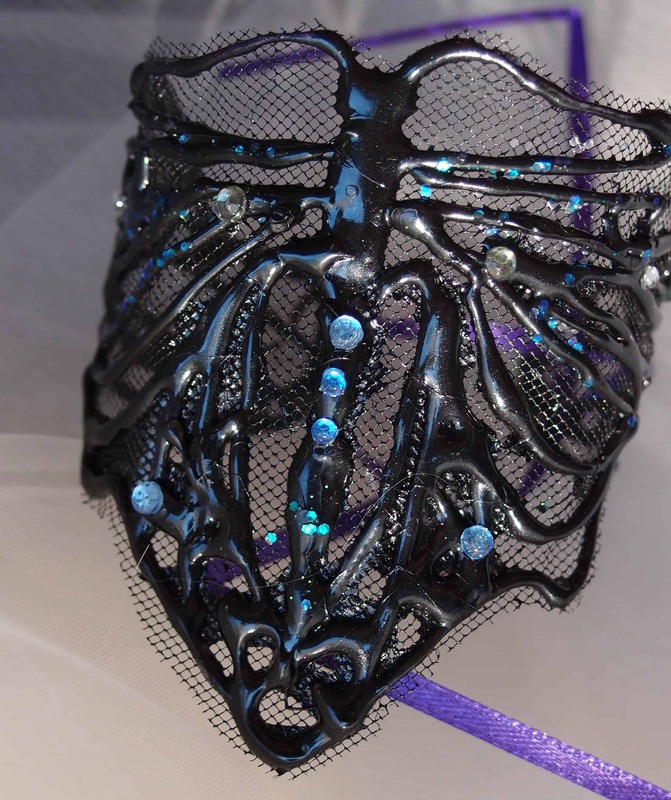 Aodhamair shows you how they made this dark, beautiful wrist cuff form black mesh, rhinestones, and black hot glue (or painted hot glue if you can’t find different coloured glue sticks). 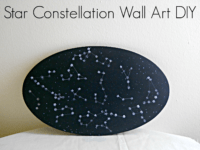 Have you always had a soft spot for the night sky but you haven’t found a crafting technique that quite captures the beauty of your favourite constellations just the way you want just yet? 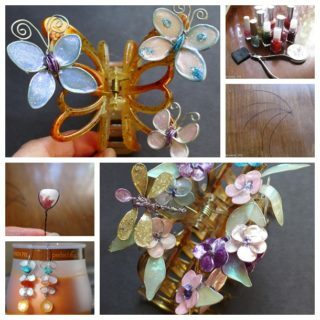 Well, we have a feeling you’ll have much better luck with this beautiful hot glue idea from Running With a Glue Gun! They show you how to carefully trace the different designs of actual constellations on a painted black plaque using your glue gun and a careful hand. 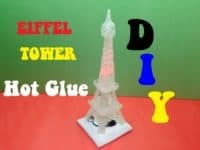 Are you still thinking about how much you loved the idea of making a whole structure out of just hot glue itself, but you think you need a few practice pieces before you hop right into trying your hand at something complicated like the hot glue Eiffel Tower we showed you above? 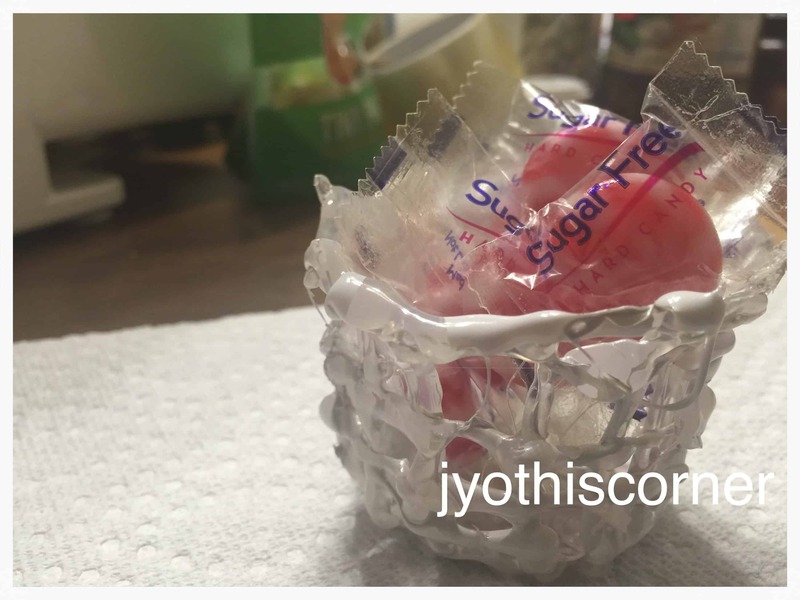 Then try practicing building the glue on itself with this candy basket project featured on Jyo This Corner. 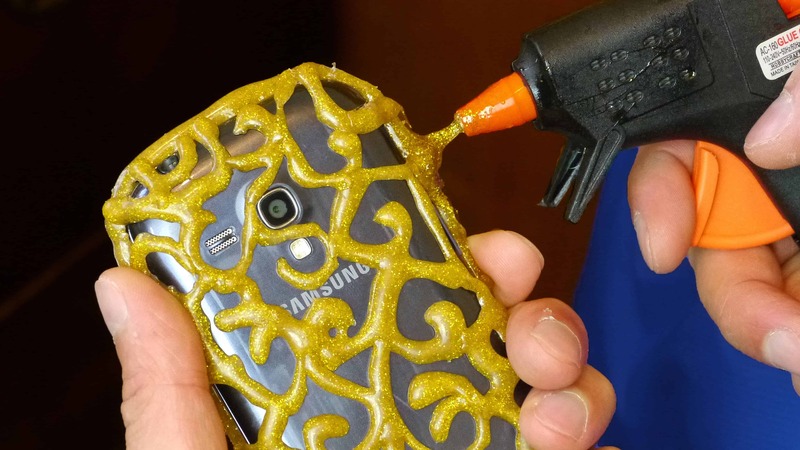 Were you intrigued by the shapes and techniques you saw in the swirly hot glue phone case tutorial we showed you above but you don’t actually need a phone case, so you’re looking to mimic that pattern in something else? In that case, we think we might actually have found a perfect alternative! 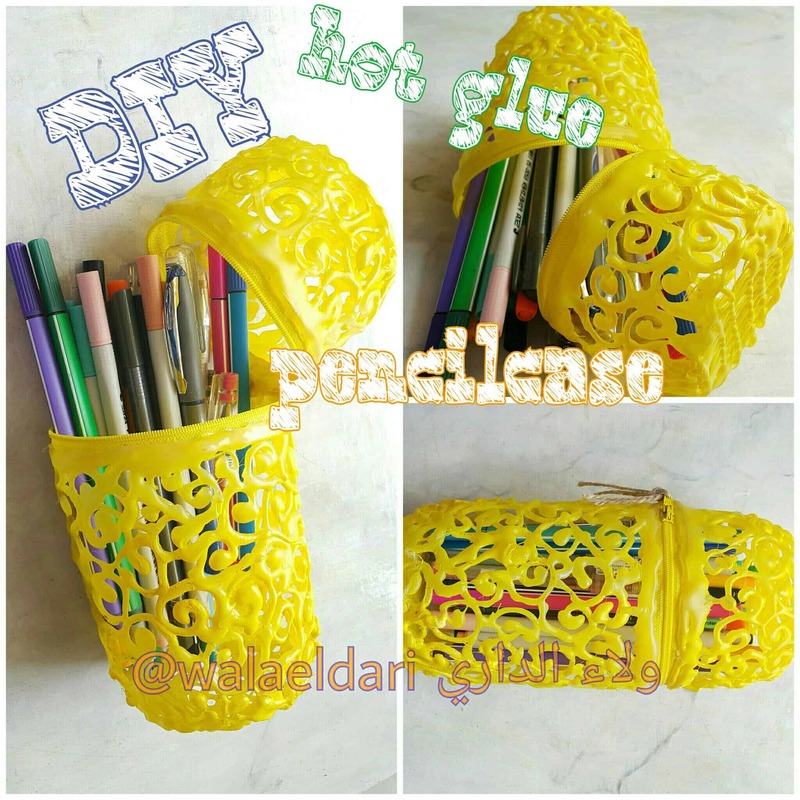 Wala Eldari shows you how they made a pencil case entirely of coloured hot glue except for the zipper, swirling their glue in the same way you loved originally. 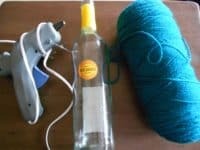 Have you made other kinds of awesome glue gun and hot glue crafts that you had a lot of fun with but that you don’t see here on our list? Tell us all about what you made and how you did it or link us to photos of your finished work in the comments section!